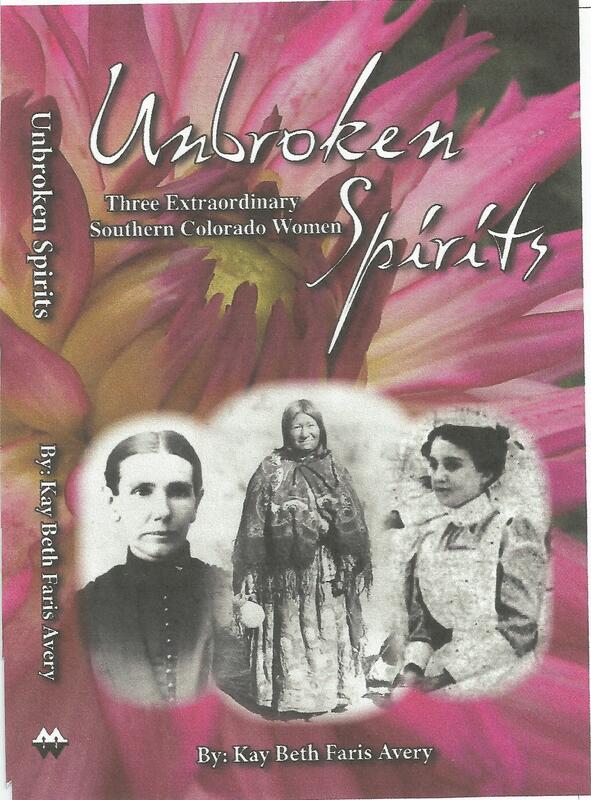 As author Kay Beth Avery ably puts it in her introduction, Unbroken Spirits is the stories of three courageous hardworking women who triumphed over their adversities, not by becoming rich, powerful, winners in society but by enduring patiently and nobly under terrible adverse conditions. These women were not queens or princesses. They were underdogs. Some might even call them “losers.” Each of these very special women played an important role in a famous Colorado conflict. Chipeta, wife of famous Ute Chief Ouray, was an orphan but became famous among the whites as “Queen of the Utes.” When her tribe was banished from Colorado, she chose to give up considerable power, wealth, and prestige to spend the next forty years with her people in utter poverty in the eastern Utah reservation. Marion Sloan Russell is best known for her book Land of Enchantment, the story of her travel over the Santa Fe Trail to New Mexico. However few realize that she was a key player in the twenty year battle with the rich, powerful, and crooked Maxwell Land Grant Company. She and thousands of other southern Colorado and northern New Mexico homesteaders battled over ownership of pieces of the nearly two million acre grant and eventually lost everything although she and her husband had been given a U.S. Patent to the family homestead. Mary Pearl Waters Jolly became a nurse but married a coal miner, one of Colorado’s lowliest workers. Eventually she and many other women became involved in the Ludlow Massacre, one of the low points in Colorado’s history. Kay Beth Avery, using her unique writing style of combining historical fiction and creative biography, has written two other popular books, Warriors, Widows & Orphans and Tales from the Trappers Trail, both published by Western Reflections Publishing Company. This books is softbound.